OSHA’s record keeping rule has new industries for this year’s 2015 300 Summary posting requirements. February 1, 2016 is the deadline for posting your company’s OSHA 300 Log Summary. 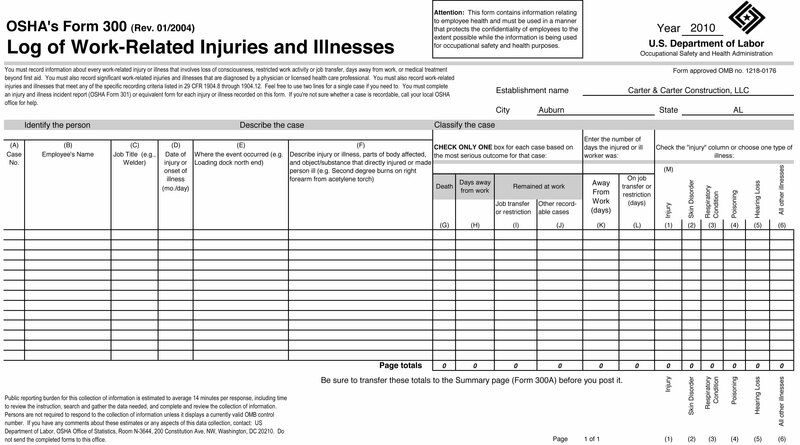 Records of work-related injuries, illnesses and deaths in 2015 must be posted in an area where employee notices are usually placed and remain posted through April 30, 2016. Retail supply stores primarily engaged in retailing specialized lines of new building materials, such as lumber, fencing, glass, doors, plumbing fixtures and supplies, electrical supplies, prefabricated buildings and kits, and kitchen and bath cabinets and countertops to be installed. NOTE: If a company sells both wholesale and retail, this NAICS designation is in effect. To view the most current NAICS go to the U.S. Census Bureau NAICS main webpage. OSHA offers a tutorial on how to complete your 300 forms. The a slide presentation with voiceover runs about 15 minutes and can be found at www.osha.gov/recordkeeping/tutorial.html.